Your Court case will follow different tracts depending on what you have been charged with and whether you have any prior convictions or whether you injured someone. If you were arrested on a first offense DUI without any aggravating factors such as injuries to others, having children under 14 in the vehicle, or reckless speeding then you likely have been released from jail on your written promise to appear in Court with a date certain at a designated Court house. In most cases, your Court date for your arraignment will be set out approximately 30 days from the date you were released from jail. If you had to post bail, your bail bondsman will provide you with your court date and location. If you hire a specialized DUI Defense lawyer, they can set your DMV Hearing and prevent the immediate suspension of your driver’s license 30 days after your arrest. They can also immediately begin to gather evidence on your behalf through DMV Discovery and Administrative Subpoenas to obtain important information for your defense before your case even goes to Court. Your Attorney can appear in court for you without your having to appear and missing work under the provisions of Penal Code §977. The Court process for a DUI case can be very technical and time consuming. At the Law Offices of Barry T. Simons, we guide our clients through this process and alleviate the stress that comes with appearing in Court before a Judge or speaking with a Prosecutor. With over 40 years of experience, are familiar with the Court system as well as the Judges and the Prosecutors and can make important decisions about how your case is handled to navigate your case through the Court system in the most advantageous manner. Your first appearance in court will be your Arraignment. This is the time to plead either guilty or not guilty. Many people think that going to their arraignment alone and seeing what happens is a good choice. Nothing could be further than the truth! The Prosecutor is a professional whose job it is to convict you. A Prosecutor is under no legal obligation to advise you about possible defenses in your case or what a fair plea bargain would be. You need a skilled, experienced DUI lawyer who is familiar with the Judges and Prosecutors in the Court that your case is assigned to. Sometimes, the best strategy is to postpone entering your plea and staying in the Arraignment Court until your specialized DUI lawyer has a chance to gather the evidence, review your police reports and video tapes and analyze the accuracy of your blood or breath test. An experienced DUI lawyer will know how to find legal, factual or scientific issues and defenses in your case and effectively present them to the Prosecutor, Judge or even a Jury. Although the same DUI laws apply throughout the State of California, there are many nuances and varying personalities encountered in a courtroom. Your trained and experience DUI lawyer from the Law Offices of Barry T. Simons will know when to try to resolve your case and which Judge or DA to speak with in order to get the best results. The Law Offices of Barry T. Simons has handled over 8,000 cases in Orange County Courts. After reviewing all of the facts and evidence in your case, an experienced specialized DUI lawyer will analyze the law as it applies to the facts and evidence in your case and make a recommendation. Sometimes that recommendation will be to seek to minimize the consequences and potential sentence through negotiations with the District Attorney or the Judge. Sometimes that recommendation will be to litigate your case and try to win or achieve a better result than offered. At that point, your case will either resolve in the Arraignment Court or a “Not Guilty” plea will be entered and the case set for a Pre-Trial Conference. The Pre-Trial Hearing provides an opportunity to resolve any outstanding issues regarding discovery of evidence, to file legal motions to challenge issues in your case and to attempt to negotiate a favorable resolution of your case with either the Judge or the District Attorney. It is very common for there to be several settings for Pre-Trials Conferences as well as Hearings set for various legal motions addressing discovery issues, suppression of evidence before deciding whether to accept a negotiated settlement of your case or go to trial. If your case can’t be resolved at a Pre-Trial then the case is set for a Jury Trial. If this is your 2nd or 3rd Dui within 10 years you can expect to be treated very differently especially if you are still on probation for a prior DUI. In most cases, you will not get an OR release from jail and will have to post a bail of $10,000 for a 2nd offense and $15,000 for a 3rd offense. If you are given an OR from the jail, many Judges will require that you post bail when you appear in Court and you will be taken into custody until the bail is posted. The experienced DUI lawyers at the Law Offices of Barry T. Simons are intimately aware of the policies of the individual Judges throughout Orange County and will be prepared to advise strategies to eliminate the need for bail or to keep the bail as low as possible and to have a reputable Bail Bondsman present to avoid your having to go into custody. Multiple offense DUI cases follow a similar track to a first offense DUI. First you have an Arraignment which is followed by Pre-Trial Conferences. If the case can’t be resolved, then it’s set for Trial. The maximum penalty for a misdemeanor 2nd or 3rd offense is 1 year in the Orange County Jail. The minimum sentence for a 2nd offense is 96 hours in jail while the minimum for a 3rd offense is 120 days in jail. Unfortunately, the minimums do not apply in Orange County Courthouses! The District Attorney routinely argues for 60-90 days or more in jail for a 2nd offense and 270 days or more for a 3rd offense. Needless to say, that kind of sentencing scheme would destroy most lives. 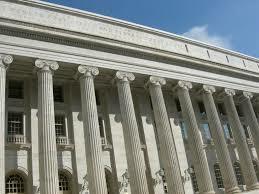 At the Law Offices of Barry T. Simons our lawyers are skilled in finding ways to win DUI cases short of going to trial. We toughly investigate your case looking for challenges to police procedures which could lead to suppression of evidence which could lead to a positive resolution of your case. Sometimes that doesn’t happen and we then apply our knowledge and experience in finding alternative sentencing options to avoid having our clients sentenced directly to Orange County Jail which will allow our clients to continue to work and support themselves and their families. In the event that you have (3) or more prior DUI convictions within (10) years or in the event that you injured or killed another person while driving under the influence or if you have a prior felony DUI conviction within (10) years you will be charged with a felony. Felony cases start off with an Arraignment. If you have posted bail that bail will remain the same unless there is a change of circumstances justifying an increase in bail. That motion will be heard at your Arraignment. If you have not bailed out then your Arraignment will be held in the Jail Courtroom known as CJ1. A plea of not guilty will be entered and your case will be transferred to one of (4) Justice Centers throughout the County depending upon where your offense took place. Your case will be set for a Preliminary Hearing where the District Attorney must establish that sufficient evidence exists to order you to stand trial. You have a right to a Preliminary Hearing within 10 Court days of your arraignment unless you waive that right. In most cases, an experienced DUI lawyer will advise you to waive that right in order to investigate defenses to your case, obtain discovery and prepare. It is common to set a Pre-Trial Conference prior to the Preliminary Hearing to deal with discovery issues and possible negotiated settlement of your case. In addition, your attorney will make recommendations for having a bail review hearing if you are still in custody. If a settlement of your case is not possible, the District Attorney will put on evidence at the Preliminary Hearing to convince the Judge that there is sufficient evidence to hold you for trial. The attorneys at the Law Offices of Barry T. Simons use this Preliminary Hearing to cross examine witness, attack illegally seized evidence and challenge the prosecution’s case. If your case is held for trial there will be further opportunities prior to trial to negotiate a favorable settlement of your case or to challenge evidence, obtain discovery and investigate your case in preparation for trial in the Superior Court.